You know, I think this is the first time that I’ve put all 5 In Colours together on a 3D project. I know I used them on a card project where I showed how to heat emboss any colour, but I do think this is the first time I’ve got them all together with the colour being the main part. They’re cute colours aren’t they? I don’t have a favourite, I am happily using all of them without any preference of one over another. But do you have a favourite? Or perhaps one that you’ve struggled to use? Anyway, back to today’s project, I’m going back to January of last year and a pretty little project from then. I love the shape of these boxes and I pepped it up a little with the stamping. I am rather partial to a bit of white ink onto coloured cardstock. It’s certainly a different look! I’m keeping it short and sweet today, I want you into your craft rooms and making straight away! Maybe you’ll experiment with white ink on coloured card? 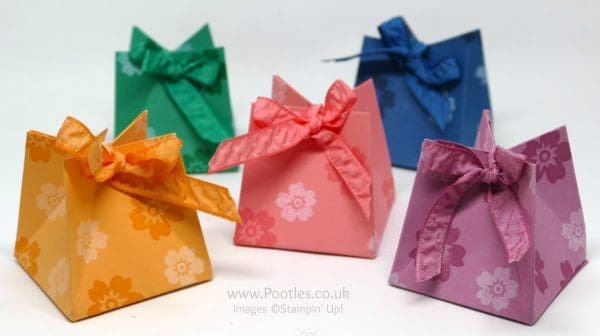 Lovely little boxes Sam. Thanks for the brilliant tutorial. Cute little boxes, I like the bit of white stamping. 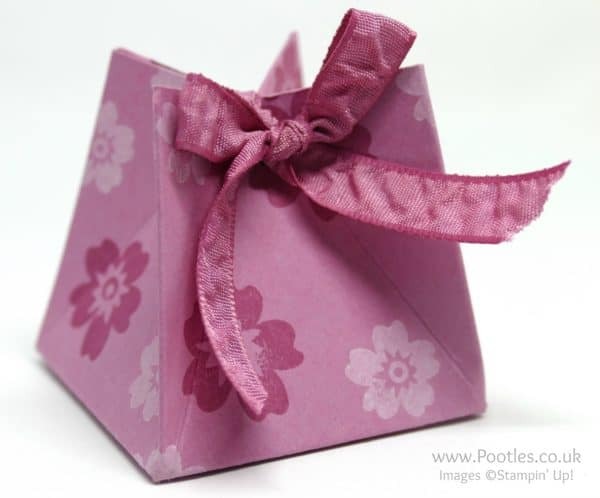 Very cute little box. Love that you used the matching color as well as the white. Very nice, indeed. Thanks! Lovely little boxes. Love the colours & the ribbon too.